The Mississippi Development Authority (MDA) completed an amazing year in 2016, one which was historically successful from its very beginning. Glenn McCullough, Jr., executive director of the MDA, likes to stress that any success the MDA sees is not primarily beneficial for the agency, but most importantly, economic development helps all of Mississippi, especially her workers and citizens. February 8, 2016, marked the single largest day for economic development and investment in Mississippi’s economy in the history of our state. 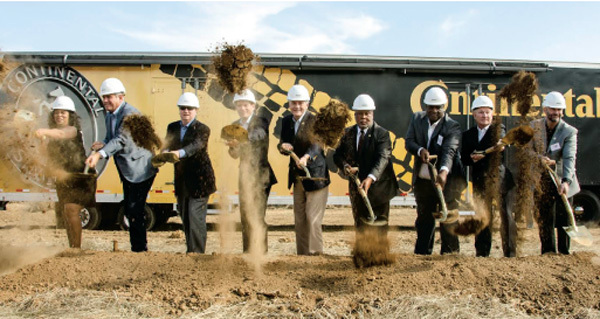 On that day, Continental Tire and Topship announced developments in the state that totaled over $1.5 billion in combined capital investments and with plans to create around 3,500 new jobs in the state. The list above is just a small sampling of the new and expanding business that Mississippi was fortunate to receive in 2016. It was a watershed year for economic development, but all of that growth did not happen by chance. The state has been preparing for just such a year, and laying the groundwork for many more to come. In addition to programs like OneMississippi, Workforce Development, and tourism development, the MDA continues developing specific ways to help Mississippi businesses grow. From bringing in new companies to assisting existing business expansion to planting new local businesses, the MDA is working to help economic development in many and varied ways. In conjunction with 3 partners/sponsors (Entergy, Mississippi Power, and TVA), the MDA started its Ambassadors Program last March. The aim of the program is to help communities learn how to best use the full extent of their local resources for community, economic, and industrial development. To that end, the MDA went into 9 communities in 2016 with the Program, inviting members of the communities to participate. The Program especially looks for participation from business leaders, elected officials, educators, and other positions central to the life of the local community. Teams are formed in each community, and their training program consists of studying principles and responsibilities of leadership, looking at ways to focus and help their local communities, and learning how to enhance local economic development. Each team undertakes a local project for the betterment of their community, with an eye toward both economic and community development. With the help of MDA guidance and partner assistance, the Ambassadors Program is helping locally driven community improvement and economic development in Mississippi. McCullough was proud of the renewed focus the MDA is showing for the state’s entrepreneurs. Mississippi is known as a state where people take their passions and talents and turn them into a career, and the Entrepreneur Center is helping people plan and launch their own companies. The MDA offers many services through the Entrepreneur Center, including classes and seminars, marketing assistance, financial guidance, and more. At the end of the day, the MDA Entrepreneur Center is focused on helping offer guidance to Mississippians so their business ideas and ventures can be successful. By working with programs at the state’s institutions of higher learning, the MDA is also preparing the next generation to think in terms of entrepreneurship and community leadership. The MDA assists students at the Mississippi State University Center for Entrepreneurship & Innovation, for example, in developing their ideas into feasible business plans, considering where to look for capital, and starting businesses that will support their families and help both the state and local community. The MDA also works with the Trent Lott Center at USM, the Center for Innovation and Entrepreneurship at Ole Miss, and other programs throughout the state. The demand for products made in Mississippi with growing, as demonstrated by our state exports growth of over 226% during the last decade. Mississippi products are getting exported at the highest rate ever. The MDA is poised to assist exports’ continued growth, and one way that happens is by helping more businesses begin exporting their products. The STEP program, funded by the U.S. Small Business Administration, helps Mississippi businesses begin the path to export by helping defray some of the costs involved. Reimbursements are available for a range of business activities aimed at getting into the export market, including travel costs for trade mission participation, market research, translation assistance, and business-to-business trips. What Might We See In 2017? Entering 2017, the MDA is looking at a strong project workload. Though specific details will be announced as project agreements are finalized, McCullough was able to share that one big piece of 2017’s economic development includes working with many partners and potential partners from all over the globe to find potential locations in the state for new and expanding businesses. With a state leadership united behind growing the economy, the future continues to look bright for Mississippi. 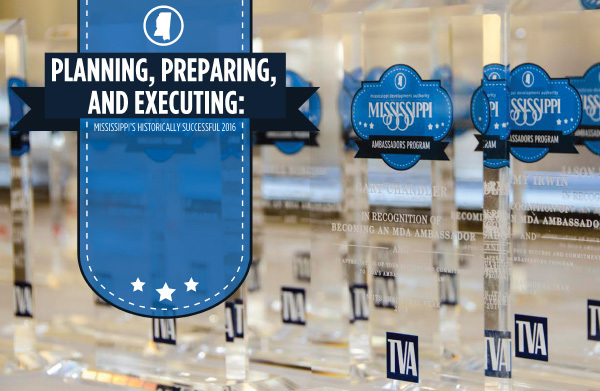 From expanding and training the workforce to attracting new investments to supporting entrepreneurs to growing existing businesses, Mississippi is focused on a mission. Economic development will continue to change and expand, offering upward possibilities to Mississippi-based companies and the people of the state. We cannot wait to see what a recap of 2017 will bring!